In bright sunshine and springlike temperatures, the world's best ski flyers once again turned Friday in Planica into a Ski Flying festival. 13 500 spectators came to the Flying hill of Gorišek brothers to cheer on the athletes. Germans's Marcus Eisenbichler won the first of two Ski Flying events on the final weekend of the 40th World Cup season in ski jumping in Planica. He was second after the first round and 11.6 points behind leading Kobayashi. The second and third place went to Japan and Poland. Ryoyu Kobayashi jumped 242 and 220 m, while Piotr Zyla managed 242 and 234 m.
The Slovenian jumpers performed extremely well. Of the nine who took part, five qualified for the final round. Timi Zajc was the best Slovenian in 4th place. He jumped 240 m and 228,5 meters. 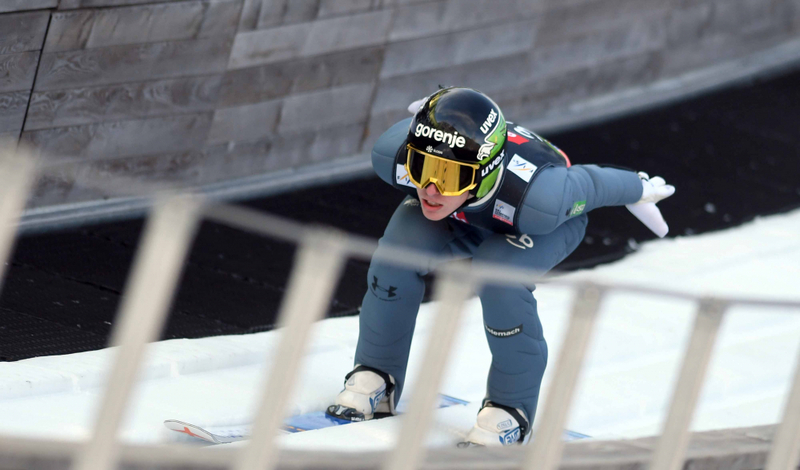 Domen Prevc finished 5th with jumps of 233,5 and 224 m. Not far behind was Peter Prevc at 10th place (225,5/226.5 m). Anže Semenič jumped 219 and 217,5 meters and finished 20th. Bor Pavlovčič was 29th with jumps of 201,5 and 211 meters. The 22-year-old Japanese has already claimed the overall World Cup, but the fight for the small globe for this season's best ski flyer is still up for grabs. Eisenbichler is leading both the Planica 7 as well as Ski Flying competition. Tilen Bartol, Žiga Jelar, Jurij Tepeš and Jaka Hvala did not qualify for the second round.